Aki Art: What's on my working board now. I'm working on some really fun commissions for educational materials right now. 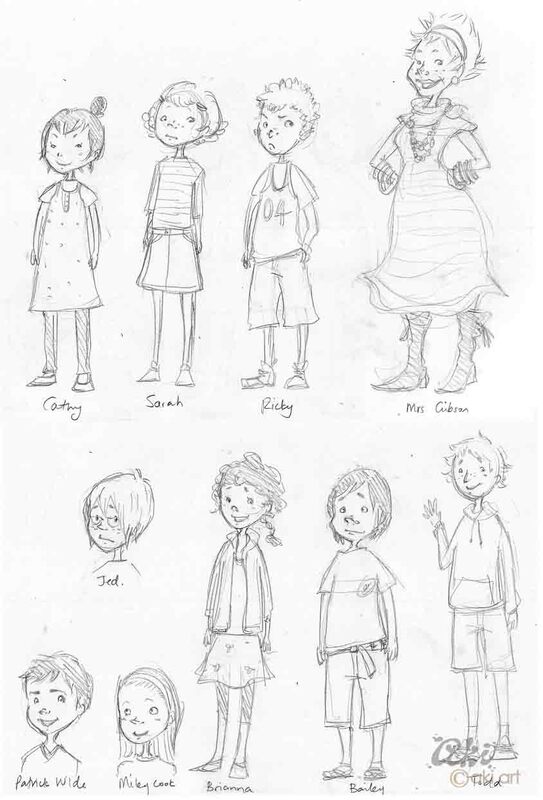 I can't share any of the illustrations for the actual books but here goes some roughs I did for the character designs. 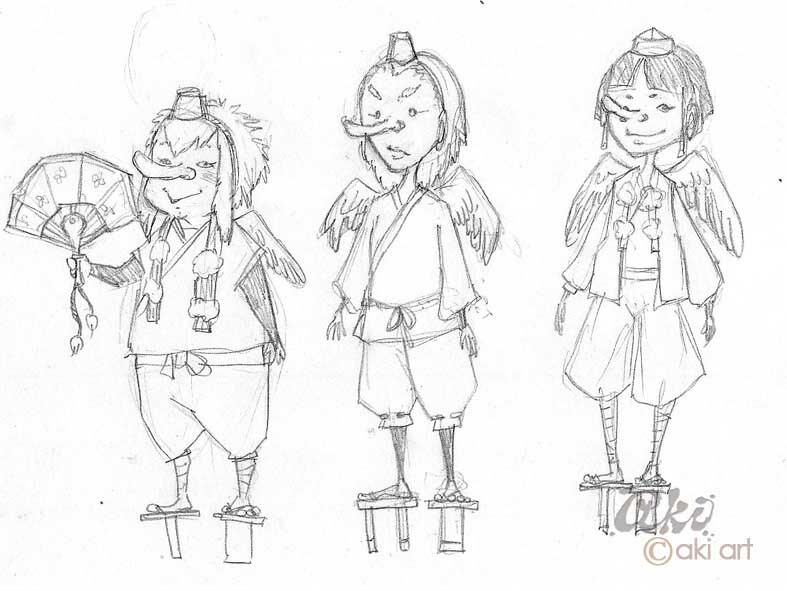 It's based on a famous Japanese folktale, about Tengu and their magical fan. It's going to be published in the US so some western taste has been added to the story I feel. 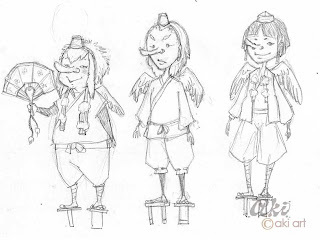 Tengu are Japaneses mystical forrest creatures with red long nose and wings, they wear outfits with specific features including geta footwear and little headpieces. 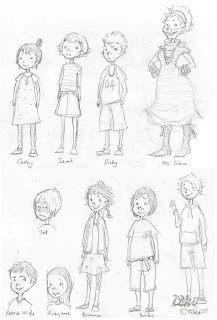 And here goes more character roughs. Beautiful girl and her wealthy father. The sneaky Badger and the Badger in his human form. The book should be published next year, I will upload more images then! And here goes more sneak peeks from another educational book I just finished working on for Pearson publishers. Schools around New Zealand should have them in their bookshelves sometime next year! This story is set in a modern classroom. I wanted to show as much diversity in the students' nationalities and features. 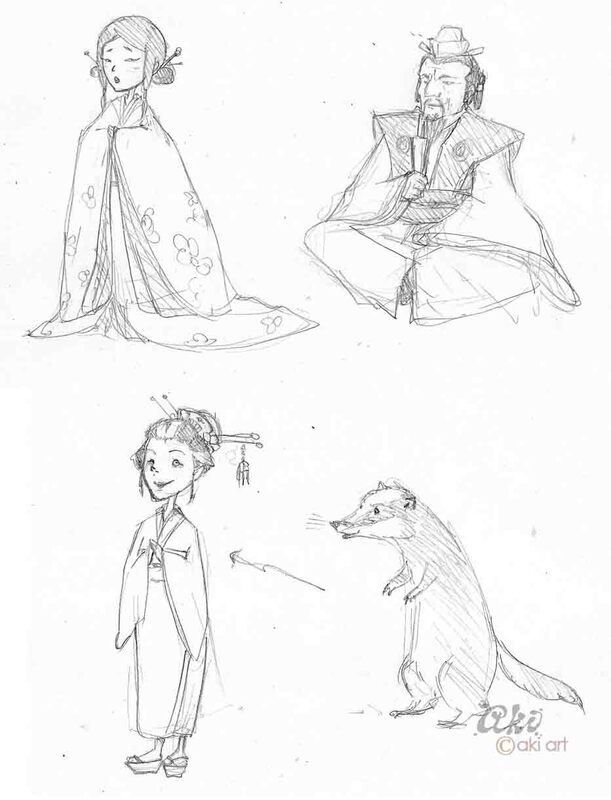 I think designing characters is one of my favorite stages in the illustration process. I love putting in balance and variations amongst the character designs to give them depth and individuality. The transformation to print is fascinating. You should be able to buy the Sails series of books from Wheelers online to any address in NZ or even other countries. I am a school librarian and I do that occasionally if teachers haven't bought them through the company sales representative or if I feel it would be good to have a single copy in the library. I could also buy them direct from Pearson - a bit mean that you have only one copy!